WORKforce Training powered by CNM Ingenuity provides innovative, customized training at our location or yours and job training courses designed for professional development and skills upgrade. We are dedicated to helping businesses develop and deliver programs that increase productivity, performance and profitability while offering the community access to groundbreaking technology. Through ongoing collaboration, we foster economic development in New Mexico. Through this website you may register for workforce training classes and customized training for your or your organization, gain access to room rental and venue licensing, access our state-of-the-art industry testing facilities, access the Small Business Development Center, peruse all that the STEMulus Center has to offer and gain insight on what FUSE Makerspace can do for you. 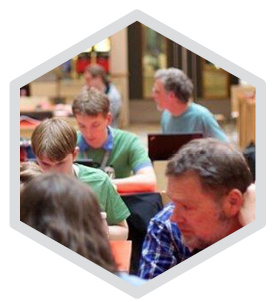 Click on BROWSE to explore classes. 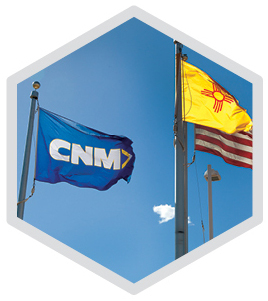 Contact us at 505.224.5200 or email workforce@cnm.edu. WORKforce Training | Innovative courses for the public and customized training solutions for employers designed for professional development and skills upgrade. STEMulus Center | Highly innovative programs available including coding, entrepreneurship, IGNITE Community Accelerator, 3D Printing and much, much more. FUSE Makerspace | A community center with tools that allow students and community members to design, prototype, and create manufactured works. 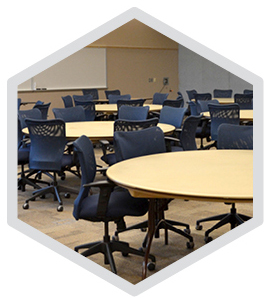 SPACE Solutions | Offering several different venue types for special events, conferences and film locations, which may be licensed for short and long term use. 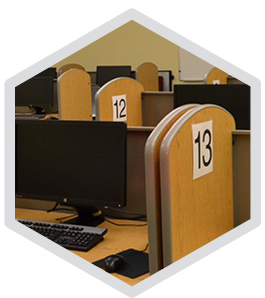 TESTing Industry | High compliance and state-of-the-art test environment for certification, licensure and placement. Small Business Development | Courses and resources for small businesses.